Hind Utsav will give you Hindu festivals importance and celebration procedures. Alamelu Manga Brahmotsavam starts from Thursday November 27th and it ends on Friday 5th December. Brahmotsavam will be celebrated on the day of Karthika Shukla Panchami, this is the day Devi born. On the last day of Brahmotsavam panchami tirtha will be the most important. Brahmotsavam will be celebrated for 10 days. Alamelu manga Brahmotsavam conducted in Tiruccukanuru it is Sukamaharsi residential. Tirucanuru is four kilometers away from the Tirupathi. 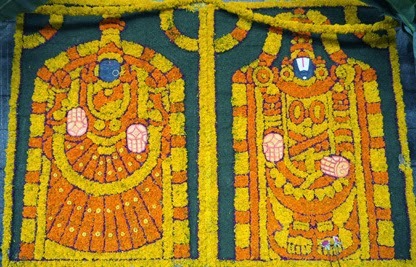 At the time of Brahmotsavam tirucanuru decorated everywhere. The importance of Brahmotsavam is the Brugu Maharshi thought of testing the Trinity ( Lord Brahma, Lord Shiva and Lord Vishnu) to know who is the best among them. Firstly he went to Lord Brahma then to Lord Shiva and lastly to Lord Vishnu. At the time Maharshi arrives Lord Vishnu is with Lakshmi Devi in his privacy. Maharshi called Vishnu thrice but Lord Vishnu not responded. So, Maharshi got angry and he kicked Lord Vishnu chest with his leg. Lord Vishnu prised maharshi because of this Lakshmi Devi got angry and left the Vikuntam. Lord Vishnu did penence (Thapassu) for Lakshmi Devi. Lakshmi Devi born from golden lotus (Padmam). As she born from padmam called as Alamelu Manga. 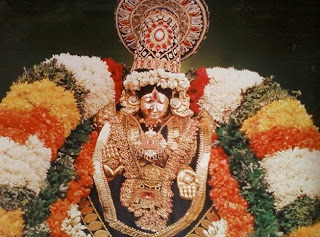 In Tamil Alaru means padmam, Manga means auspicious mother (mangala pradamaina Thalli). 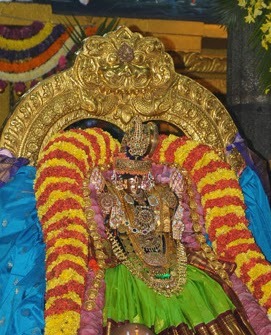 Now a days Padmasarovaram is called as Goddess river (koneru). Thousands of devotees have bath in this Padmasarovaram on Shukla Panchami day. 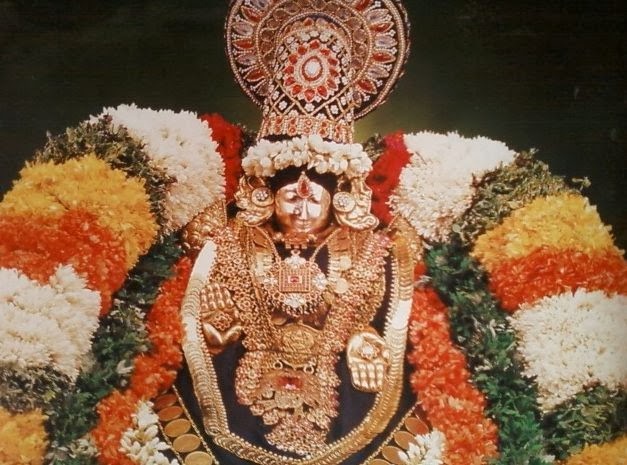 Every year in Jesta Masa - Theppotsavam, Bhadrapada Masa - Pavitrotsavam, and by the end of Karthika Masa, Brahmotsavam will be celebrated for 10 days.